So if you live in any big city in North America I’m sure you go some kind of bike sharing/renting thing going on. 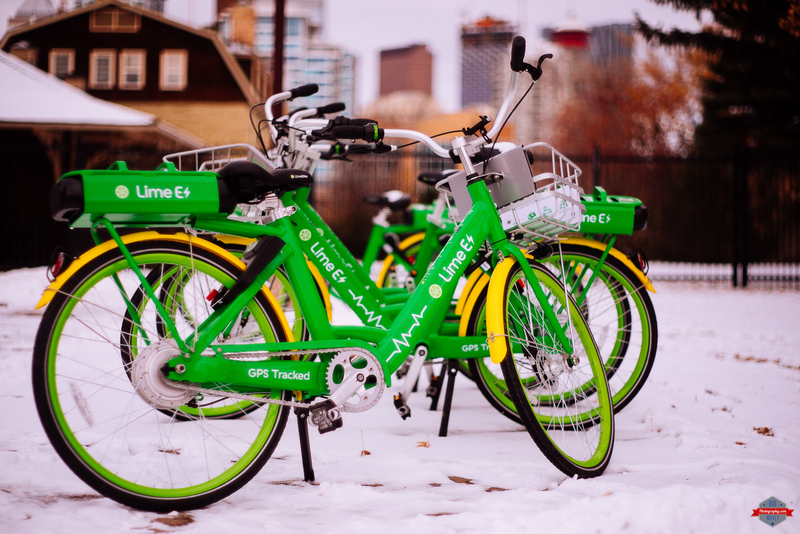 Here in Calgary we got Lime Bikes. 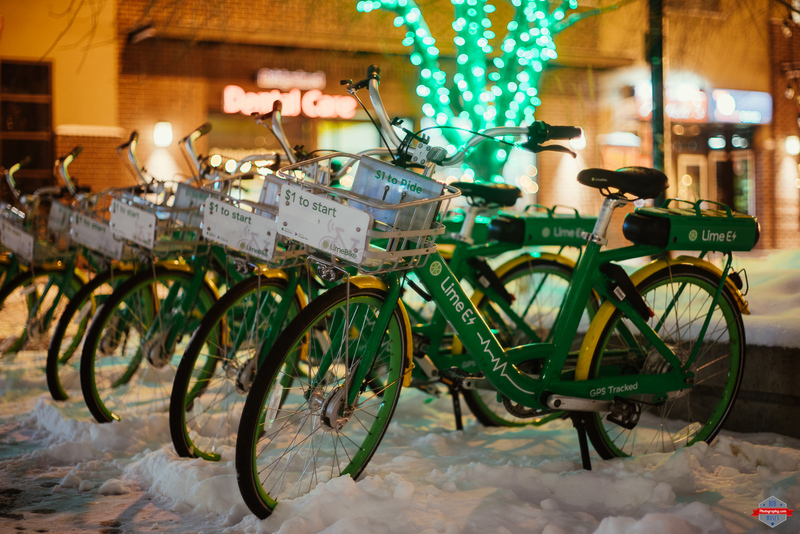 This a fun idea and I’m sure it comes in handy during the summer, but right now when there is snow and ice everywhere I can’t imagine many people will be riding these things around. Anyhow, they are bright and all over the place so I took a couple pictures along the way. This entry was posted in Cities, Random and tagged 58mm 1.4, A7R, Alberta, beautiful, bikes, blur, Bokeh, Bridgeland, Calgary, Canada, city, City Life, cold, cycling, day, downtown, ice, legacy lens, lime bike, manual focus, metro, Minolta, mirrorless, modern, night, pretty, prime, Snow, sony, uptown, Urban, winter, yyc. Bookmark the permalink.